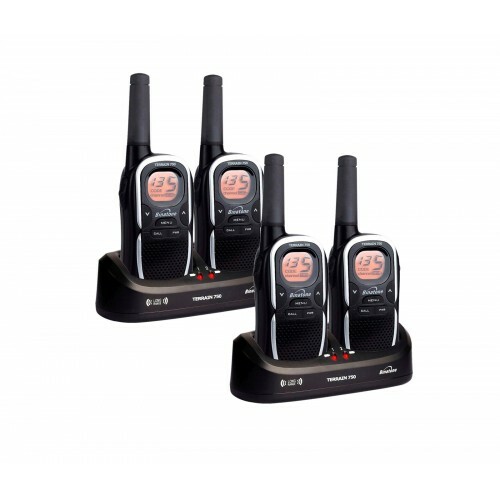 A stylish set of four two­way radios, the Binatone Terrain 750 Quad features 50 hours of battery life, support for hands­free communication and a backlit display. Each pair of Binatone Terrain 750 radios comes with a dual charging dock, allowing you to charge both radios simultaneously. 4 AAA batteries are provided. 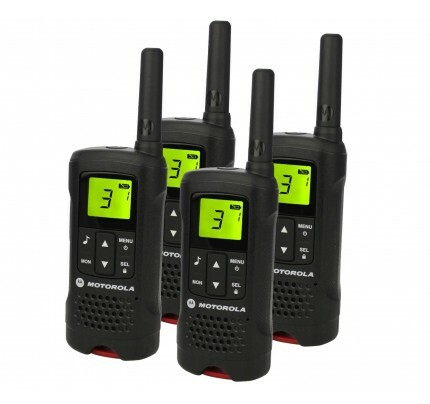 Other useful features include a volume control, voice activation and an on­screen battery level indicator. 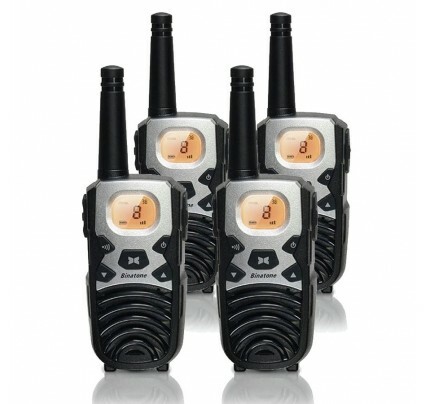 Why Should You Buy these Two­Way Radios? Offering a range of up to 8km, the Binatone Terrain 750 is ideal for keeping in touch on holidays, travel and other outdoor activities.